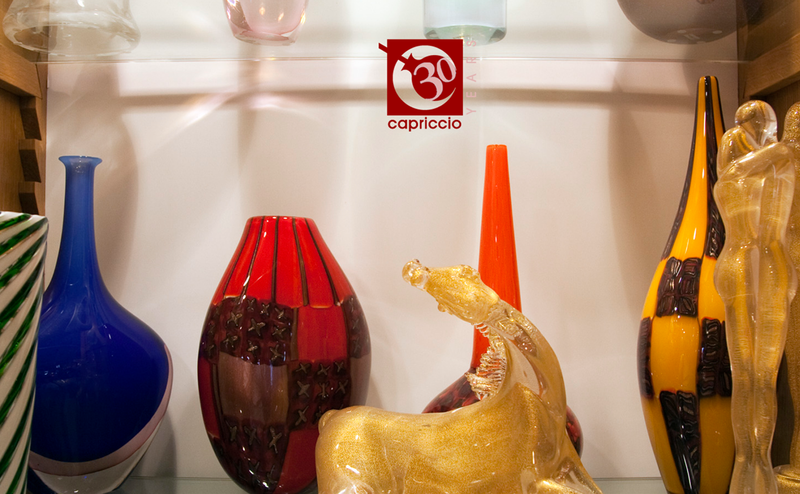 After 30 years of retail and a past period without giving our information Capriccio has built for you an online store where you can find our collection of Murano glass sculptures and objects in our stores. All of our products are handmade by artisans and glassmasters who have been selected by us during these 30 years of activity and presence here in Venice and Murano. We also managed to create a personal line and original design thanks to the will and mastery of the owner Davide Toso who still designs and realizes, in collaboration with glassmasters such as Pino Signoretto, Davide Salvadore, Maurizio Alfier, Davide Fuin, Alberto Striulli furniture, lighting and collection. Our family-run company is carefully looked after by the members of the Toso family: Davide, Cristina and her son Nicolò, who personally handle the management and relationship with the clientele.